Imagine leading a customer experience program serving a very diverse population that speaks dozens of languages, has many members new to this country, and many on medical assistance, struggling to raise a family without a stable home. And you’re doing this as a non-profit. That’s the challenge UCare faced when they began formalizing their customer experience program in 2013. UCare is a health plan primarily serving members through government programs, such as Medicare, Medicaid and other government assistance programs. 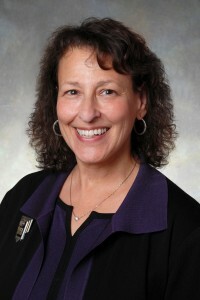 Ghita Worcester is the Senior Vice President of Public Affairs and Marketing at UCare, one of two executive sponsors of their customer experience program. “We also work with an incredible number of languages. We’ve learned that a larger part of the experience comes from members’ cultural beliefs and how they were treated in their previous country’s healthcare system. For example, when our Hmong membership grew significantly, we realized the critical role culture has on how this population interacts with us and the health care system. We partnered with Stratis Health to develop Culture Care Connection, a website with information on the different beliefs and backgrounds of key populations in Minnesota. This site helps our providers learn more about our diverse membership. At UCare we believe that to deliver the experience we want to provide, we need to understand where our members and providers are at better than anyone else. “We’re expecting to grow to over 400,000 members in the next year. As we do that, we will keep our eye on our member experience to ensure it continues to be engaging for all of our members.